Pies en la Tierra combines jazz and south american folk music to create a unique style that has become a landmark of national arts in their native country Ecuador. The band has been performing since the year 2000 and has recorded 5 albums, all with an obvious pursuit of originality and artistry. This year 2019 Pies will be on tour though Europe to promote the release of their 6th album "Plegaria" which will be recorded at Recpublica Studios in Poland. The band consists of Ben Kraef - saxophone (Germany), Raimon Rovira - piano, (Ecuador), Ramiro Olaciregui - guitar (Argentina), Cayo Iturralde - bass (Mexico) & Carlos Alban - drums (Venezuela). 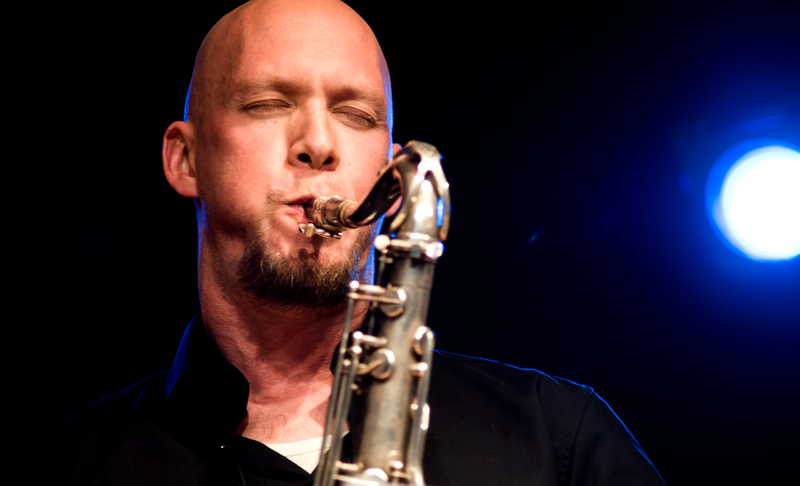 -Ben Kraef is a Berlin based saxophonist who over the past decade has become one of the most prominent musicians of the jazz scene in Germany. After studying in City College New York, Kraef returned to Berlin to perform both as a leader as well as sideman in several groups and helped to elevate the level of musicianship of each band. Ben has performed with several world renowned musicians such as John Patitucci, & Marcus Gilmore among others. -Argentinian guitarist Ramiro Olaciregui has been preforming live around the world for the past 10 years. After graduating Berklee College of Music (Boston MA), he moved to New York and later Berlin for a period of 6 years. In both cities Ramiro lead various groups of original music and made a name for himself both as a jazz guitarist and composer. His 2 albums "The Remains" and "World Citizen Band" include a wide variety of styles and colors that demonstrate both his south american heritage as well as influences from both the New York and European jazz scenes. Olaciregui has performed with George Garzone, Bob Mintzer, Randy Brecker, Tom Kennedy, Jimmy Heath, & Seamus Blake. 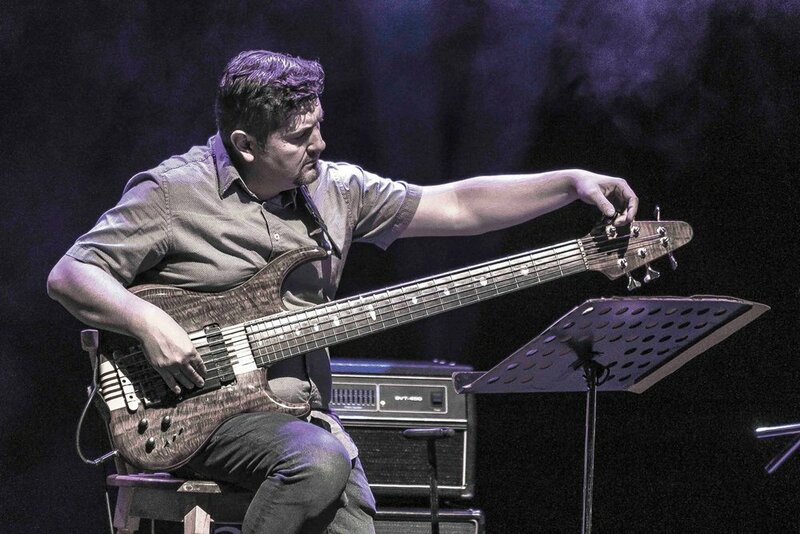 -Cayo Iturralde, originally from Mexico, is a bassist and composer living in Ecuador for the larger portion of his life. One of the founding members of Pies en la Tierra, Cayo's name has been synonymous with avant garde jazz for the past 20 years. He received both his bachelors and masters at Florida International University (FIU), and performed with some of the strongest names in Jazz. A few include Michael Brecker, Jonathan Kreisberg, Mike Stern, Perico Sambeat and Jorge Pardo. -Raimon Rovira is a jazz pianist and composer from Quito, Ecuador. 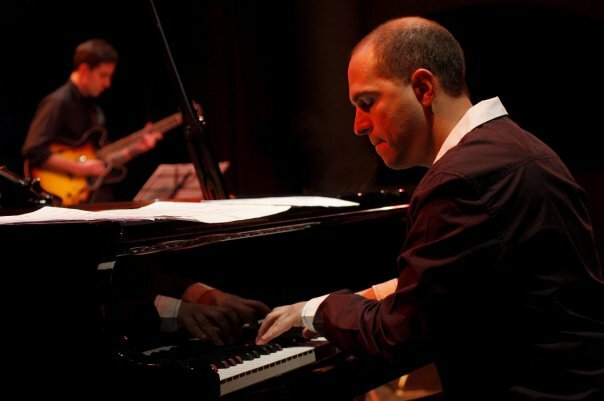 Considered by many to be the leading voice in jazz piano in his native country, Raimon also has gained a reputation as the main instructor for most of the aspiring pianists in Ecuador. He is also one of the founding members of Pies en la Tierra and has contributed to writing and producing the sound of the group since their beginning in 2001. -Drummer and percussionist Carlos Alban was born in Venezuela in 1980, and soon after migrated to Ecuador. Early in his life he developed an interest in rhythms of south american heritage and later studied contemporary music, including jazz. He studied at Vandercook University in Chicago and obtained his masters in music education. He now has his own music academy in Ecuador which is the primary institution for the development of professional drummers and percussionists in the country. Carlos studied with drummer Paul Wertico, most known for his work with the Pat Metheny group.